The pursuit of happiness is probably the most important goal of life. 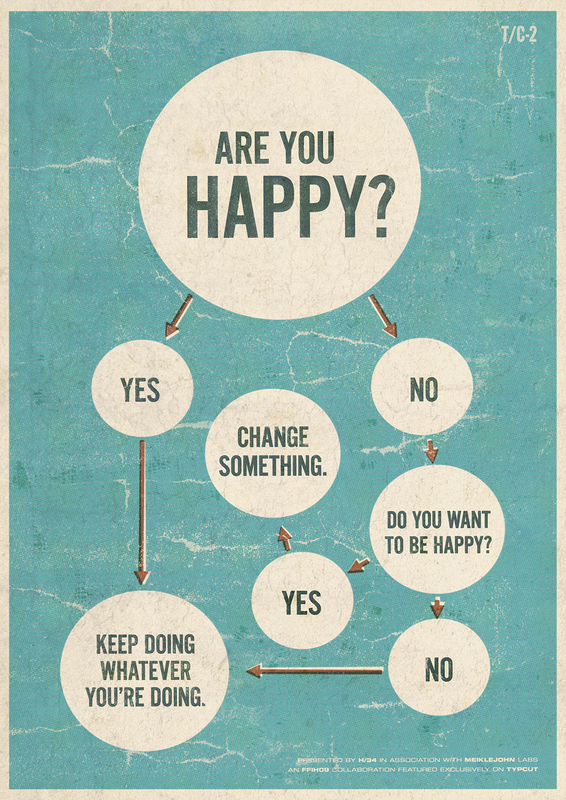 Here's a Sunday infographic that tells us about the path to happiness, in a very simple way. I found it at Visual.ly and Typcut. Sir, this ones a mind-blowing one. Though it might seem very lame at first sight, but its most often the thing to be done, which makes all the difference to ones life! !